Interaction with superiors, peers and subordinates constitutes one of every manager’s most important functions. A managerial interaction is effective when it leads to informed and feasible decisions and to their effective implementation. Contrary to prevalent managerial practice which focuses on policies and targets (the WHAT), the author’s long experience indicates that, often WHAT-focused interactions fail to reach feasible decisions that are implemented effectively. This happens mainly because the mindset of the participants neglects the process the HOW these interactions are being conducted with. In fact, ineffective managerial interaction and the messiness that ensues, is one of the most frequent causes of wastage of means and skills and of overall inefficiency in companies. In order to establish Effective Managerial Interaction (EMI), managers must find ways to bridge over the gaps caused by differences with and among their interactants. The gaps that need to be bridged can be in values, priorities, concerns, expectations and practices as well as in private agendas. Also, they can be gaps in basic assumptions, perceptions, working habits and other personal constraints. Unless these gaps are bridged, promising policies, plans and decisions cannot be implemented effectively and consequently failures ensue. 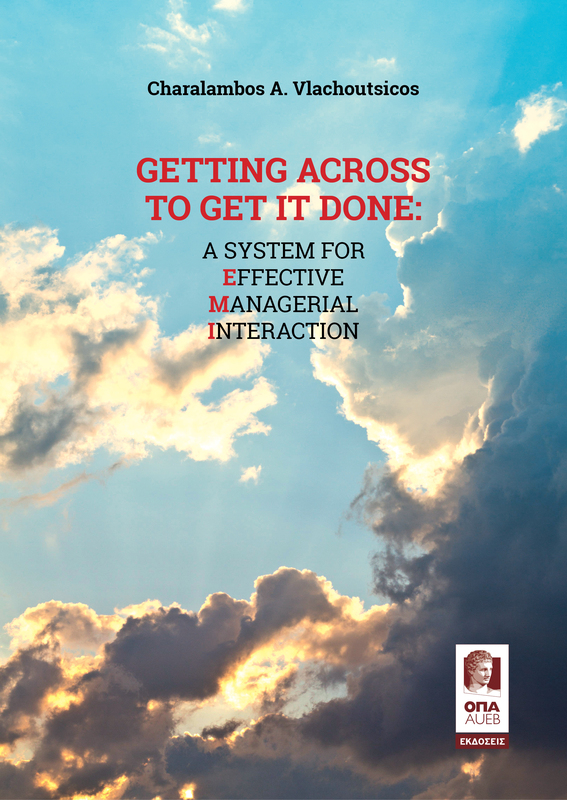 This is a practical, hands-on book for managers including the hundreds of graduates of the author’s course “Establishing and Sustaining Effective Managerial Interaction (EMI)” which he has been conducting at the International MBA Program Athens University of Economics and Business. A detailed Guide to help readers implement the EMI system is included containing specific guidelines, exercises in awareness of the impact of own and of interactants’ verbal and non verbal interactive behaviours, bibliography, as well as on-going sources and databanks.